How pissed am I that mediocre reviews kept me from seeing this movie till now? I'm not saying it's perfect, but the parts that are good are damn, damn good. Unfortunately, critics tend to be much harsher judges of experimental films than conventional ones. Helen Mirren is so great as Prospera that I now can't imagine the play with a male Prospero. 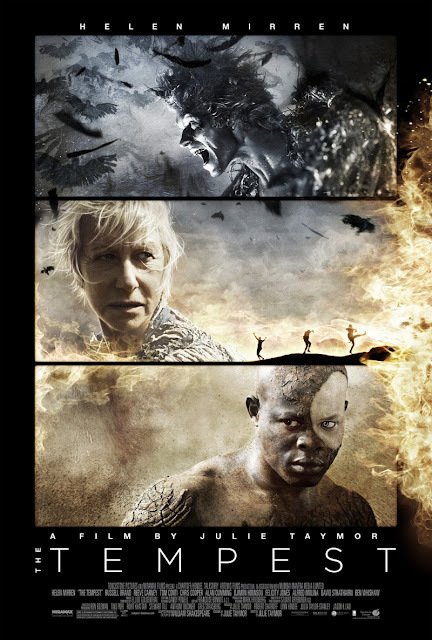 Djimon Hounsou has a monumentally challenging job as the slave Caliban and he tackles it fearlessly. Russell Brand was born to be a Shakespeare fool, and Ben Whishaw brings depth and spookiness to Ariel. Most of all, Julie Taymor creates a uniquely loaded atmosphere to the film. It feels weird and portentous, and if not all the special effects work, most are spectacular. As Roger used to say, thumbs way, way up.